Bo Sullivan is the owner and founder of Arcalus Period Design and Bolling & Company, as well as the former senior designer and architectural historian at Rejuvenation, the country’s leading manufacturer and marketer of classic American lighting and hardware. Son of an antiques dealer and an old-time hardware store owner, Bo grew up in a 200-year-old house in a 300-year old-town where he spent his afternoons digging up old bottles and exploring attics. After graduating from the North Carolina State University School of Design with an architectural degree in 1988, Bo spent several years as a designer and carpenter renovating older homes. 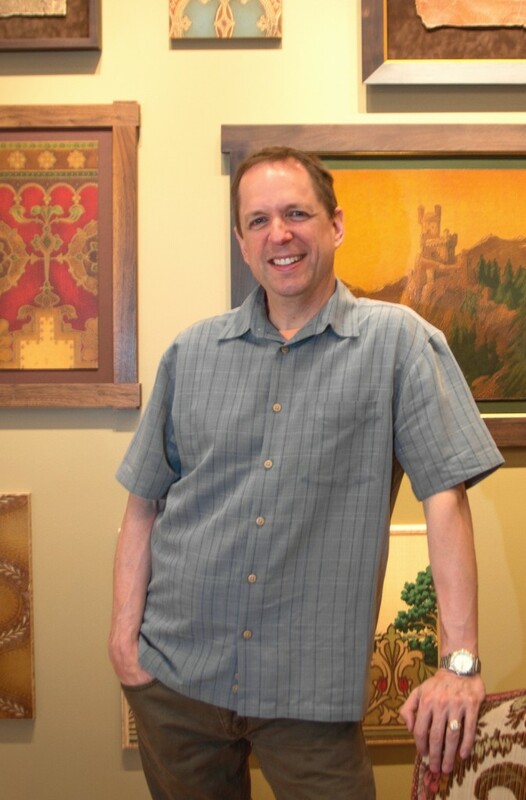 He began a 20-year association with Rejuvenation in 1993, where he bought and sold architectural salvage, designed and sourced new lighting, plumbing and hardware products, helped craft the look and feel of the company’s unique retail stores, gave presentations and seminars on old-house history, and wrote most of the company’s national catalog and marketing copy. Since establishing Arcalus in 2009, Bo has been consulting with home owners, designers, architects and preservation professionals on historic design and renovation projects. Bo’s knowledge of American period design between 1870 and 1970 is singularly broad and deep. You can email him at bo@arcalus.com. The Arcalus consulting rate is $100/hour. You can check out Bo’s second passion – antique wallpaper, at Bolling & Company. Bo is particularly interested in the history and products of the Buffalo wallpaper manufacturer M.H. Birge & Sons – for more information, click here. All too often, projects are brought to Arcalus after they are already well under way, when folks are starting to feel that nagging sense that maybe something is missing or the first results aren't quite coming together the way one had hoped. Once a project has gotten rolling, it can be very hard to incorporate new understandings, reclaim missed opportunities and undo changes that might have unknowingly harmed the true character and potential of your house. Contact Arcalus at the earliest stages of your planning process and let your home's authentic history be a powerful source of guidance and creative inspiration for the work that will follow.